The arena is supported by 50 x 100 mm cross section timber. 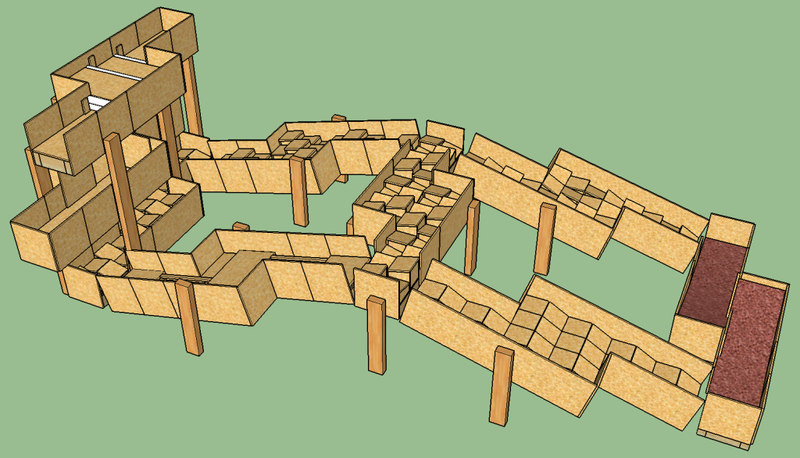 It is recommended that for this configuration, the wall sections that are left over be screwed over the joins between the arena pallets for rigidity. The following quantity of timber is recommended. 8x 50 x 100 x 1,200 mm timber. 16x 50 x 100 x 600 mm timber.